Working in the medical field has always been my passion, and why I became a Nurse 30 years ago. I have worked in various settings including hospitals, doctor’s offices, hospice and nursing homes. Many years ago I worked as the Supportive Care Coordinator for a local Breast Cancer agency. It was during that 8 year period, and after the death of two dear friends from Cancer, that I witnessed how difficult it was for people to get the support, information, resources and specialty products they truly needed to get through this traumatic time in their lives. These experiences changed my perspective on life. I am so passionate about working with clients to understand their needs as they experience this disease, and the devastating effects of their treatments. I trained to become a Certified Vascular Compression Fitter, then a Certified Mastectomy Bra Fitter. I wanted to create a comfortable, inviting place for people to find the products that would suit their specific needs – a “One Stop Shop” so that someone with illness or disease didn’t need to worry about trying to find products in 3 or 4 different places. It is difficult enough to face a serious health issue, let alone trying to seek out things you will need. As a result – in early 2011 BodyMed Boutique was born – offering SUPPORT FROM HEAD TO TOE! Shortly after opening I established THE CAMISOLE PROJECT, a non-profit initiative to provide women facing Breast Cancer Surgery with a FREE Post-surgical Camisole and heart pillow. Its my passion to help people and I love what I do every day! 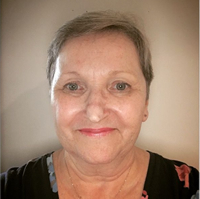 A Breast Cancer survivor – Anne was diagnosed with Breast Cancer in 1996 and underwent a partial mastectomy followed by 6 weeks of radiation therapy at the Juravinski Cancer Centre in Hamilton. When she met Barb in 2010 and witnessed her passion for the cause – Anne realized that she could also help women by sharing her experience, having walked in their shoes. Anne became a Certified Mastectomy/Compression Fitter and joined Barb at Bodymed Boutique. She is incredibly compassionate, understanding and respectful when helping clients through this journey. 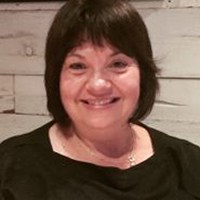 A Breast Cancer survivor – Sherry was diagnosed with breast cancer in 2005 and underwent a lumpectomy followed by 3 months of chemotherapy and 4 weeks of radiation at the Credit Valley Hospital in Mississauga. In 2006, wanting to help out women who had been through the same thing, Sherry became involved with a fundraising group of women called The Divas Changing Lives. The Divas are a non-profit group of caring professional women raising funds and awareness for various community initiatives, including BodyMed Boutique’s THE CAMISOLE PROJECT. This is where she met Barb Daize, Owner of BodyMed. Sherry started working at BodyMed Boutique in 2014, knowing that she could help women by sharing her own experience and ensuring the receive what they need to make their Breast Cancer journey as comfortable as possible. She prides herself on being compassionate and a really good listener. 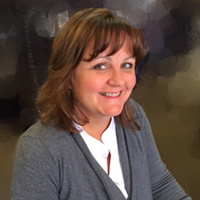 Sherry is responsible for BodyMed administration, marketing and sales. 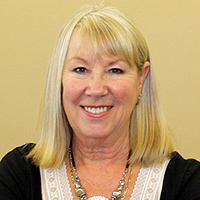 Susan has recently retired from 24 years in the Hotel Industry with extensive experience in customer service, Sales and Accounting. As a breast cancer survivor, she understands the importance of support and compassion for women going through this process and looks forward to being able to provide this to others through BodyMed Boutique. 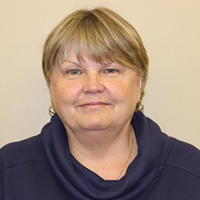 Susan is passionate about her family and enjoys spending time with her husband, children and grandchildren. Susan offers support to her parents and is involved in her church and community choir. Lina moved to Burlington 37 years ago and spent the first 27 raising two of her greatest accomplishments: Dean and Adrienne. Ten years ago, while struggling with a separation from her husband, she took a job at local lingerie boutique not knowing it would change her life. Helping women find proper fitting foundation garments gave her strength – it helped her grow; and now she considers herself one of the lucky ones with a career that can’t be considered “work” at all. Her clients remember her best for being caring, attentive, and compassionate. She remembers them for their stories and how inspirational it was to help them to feel happy, beautiful, and confident. All this from bras – who knew?! Lina suffered another personal blow in May 2017 when her sister, recently diagnosed with breast cancer, underwent mastectomy surgery. Lina popped into BodyMed for a camisole from The Camisole Project to give to her sister. It took one visit to BodyMed to realize that she was a perfect fit for this specialized type of foundation garment. She was immediately inspired by Barb and Anne and how their team helps survivors regain their happiness and confidence. As luck would have it, a fitter position was available, and the rest is history.